Learning how to play bingo takes only a few minutes. Bingo is still one of the "other" casino games that guests love to play. It has evolved since major casinos like the Sahara and Harrah's used to have packed rooms, and now many casinos offer games that allow gamblers to play multiple cards, the game itself is quite easy. Some players confuse the game with Keno. Each card is different. The word "BINGO" runs horizontally across the top. Below each number is a set of five numbers in boxes. The center space below the "N" is FREE and has no number. You can mark it off or cover it immediately. 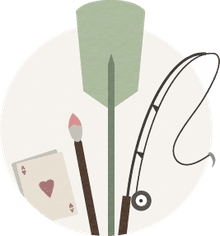 The object of the game is to have your numbers called and mark off a straight line of five numbers either horizontally, vertically or diagonally. Numbers used to be marked off with beans, but today most cards are thin paper, made for just one specific game. 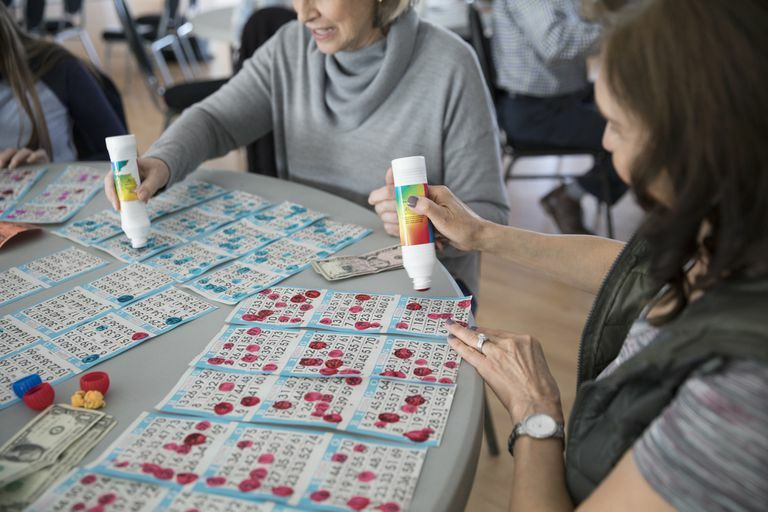 You can cover your number or use a dauber of colored ink sold at the front desk or in a vending machine inside the bingo hall. Most casinos have specific times during the day when games start. You pay for a series of games and get multiple cards for each game. Show up on time so you don't miss any games! Stand in line and buy your game packet from the cashier. Find a seat, spread out your game cards, and listen to which game (usually with a color) is first and which cover wins. There are light-up bingo cards on the walls to help. Mark your free space and listen as the numbers are called. Cover your called numbers and start rooting for what you need to hit for a winner! When your winning combination appears, yell "Bingo," and wait for a host to check your card. If somebody else has called bingo, don't give up until a host calls the numbers out and it is confirmed as a winner. Sometimes errors are made. Wait for the next game to start by arranging your cards and listening to the instructions. Prizes are usually brought to the winner. Snacks and drinks are usually permitted and the games are often a lot of fun. Electronic bingo devices are now permitted in many jurisdictions, sometimes provided by the bingo hall. These handheld devices scan the cards and alert the player when they have a winning card. With these devices, a player can play dozens of cards each game.